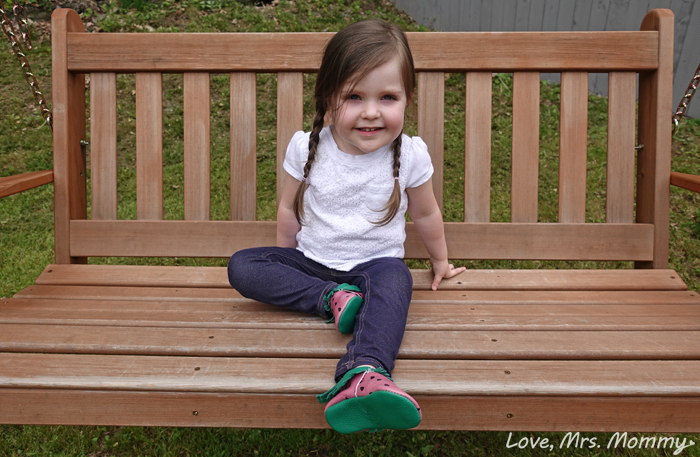 Love, Mrs. Mommy: Celebrate Sunny Days With Fun New Styles From Freshly Picked! Celebrate Sunny Days With Fun New Styles From Freshly Picked! I received a pair of Freshly Picked moccasins at no cost to facilitate this review. All opinions are my own. Spring is probably my favorite time of year. Flowers are blooming, the weather is picking up, and you know you have three beautiful seasons lined up (for those who live in a 4 season area). The fact that you don’t need a coat when you leave the house, certainly doesn’t hurt either! With the warmer weather comes the inevitable, adorable kid clothes! I love the billowy dresses, brightly colored shorts and of course, Freshly Picked moccasins! 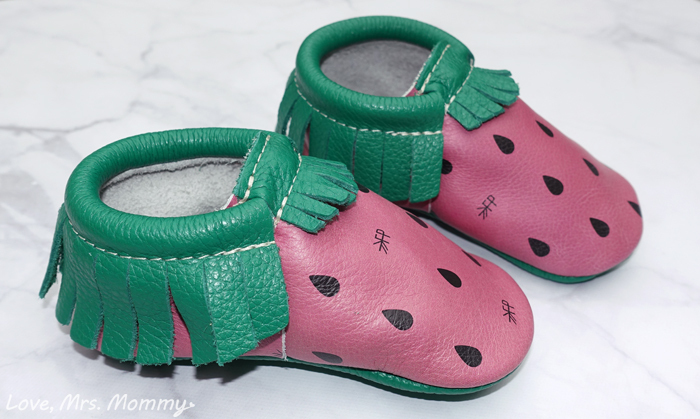 Freshly Picked has the absolute cutest moccasins you could ever imagine! With our partnership I was able to pick out a pair for my daughter and let me tell you, that was a hard decision! After narrowing it down to my Top 5 (I wanted them all! )… I decided to let my daughter choose which pair she wanted. She picked Watermelon, and I couldn’t be happier! 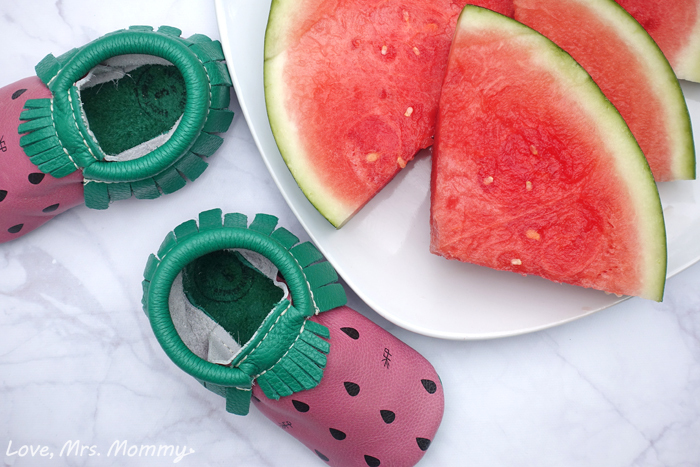 Nothing says warm weather more than watermelon… the yummy sweet and delicious fruit of summer. Watermelon reminds me of summers past, being with family and friends and having the ever popular holiday picnics and get-togethers. So many fun memories and new ones to make with my little sweetie! The print and coloring of these moccs are to “dye” for (haha!) and the leather is always top-notch. My daughter’s previous FP moccs wore really well and we have always been pleased with the quality. I am definitely a big fan of the elastic band design at the opening. This makes the moccasins super easy to slide on and off and makes that inevitable mad-dash to get out of the house much easier. No fussing with hard to tie up shoes when you have a squirmy little one. 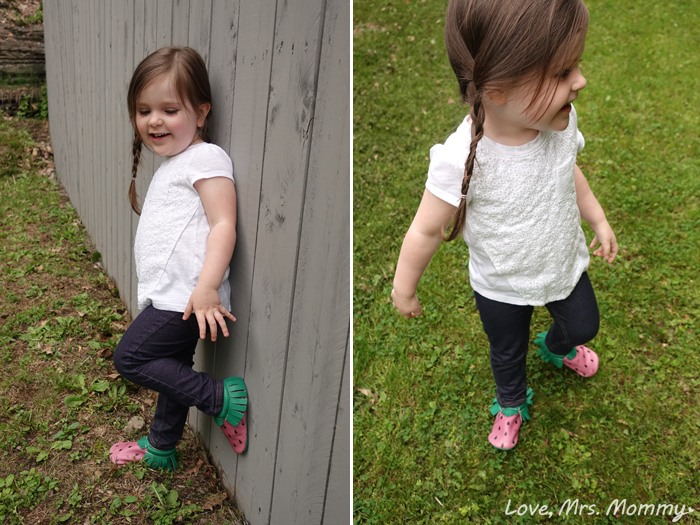 My daughter loves her new moccasins! She definitely has a special affection for them and I think it’s even more so since she picked them out. I have caught her numerous times talking about her new moccs and she is always telling me how cute they are. They are definitely her go-to shoe, and mine too! Win It: One lucky reader is going to win their choice of moccasins (any size, color or pattern!) worth $60! This giveaway starts on June 1st right here at LoveMrsMommy.com! Great review!! Curious... what other styles were in your top 5? These are adorable! I'm loving the new dinosaur design for my grandson! these are too precious, but i want those for ME! haha! Very cute. I'm sure any little girl would love to have a pair. 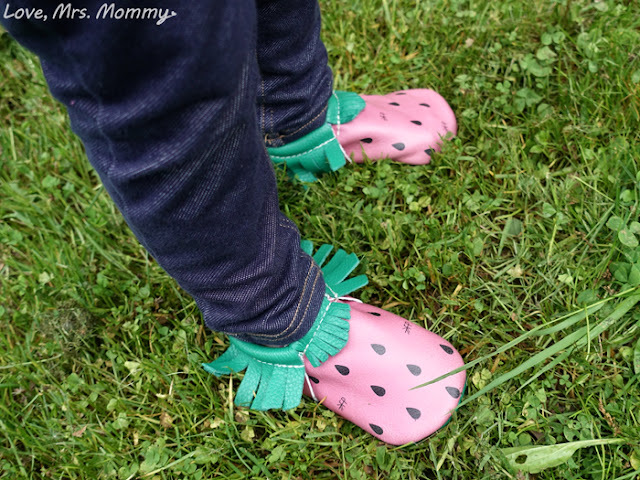 When my daughter was small she had a pair of pink sneakers with strawberries on them. I love cute little leather shoes, those watermelon moccasins are so cute!! I am going to have to get a couple pairs for my new niece! Those are so adorable. My friends baby is due in October those would be perfect for a gift. Omgosh I love them!! They are so cute and I've heard nothing but amazing things about them!! These moccasins look and sound like they are made and will wear well. My nephews and nieces would love these. omg those watermelon moccasins are so adorable! perfect for the summer! Well, the cuteness factor is off the charts, no doubt about that. They would make a wonderful special gift for someone. So cute. Cant wait to get some for my own. Your daughter looks adorable and she chose my favorite too - Watermelon. I also love Ants and Strawberry designs. These are adorable! Would love to get a pair of the Red, White and Blue for my grandson. If it wasn't for this giveaway I probably would never have heard about them. They have so many cute moccasins. Wish they had my size! They are always coming out with new patterns. I really like the ants. Some of the most originals shoes that I have seen in a while!